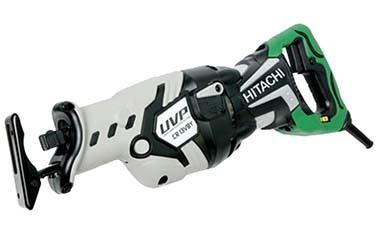 Maybe you’ve heard or thought about purchasing the Hitachi CR13VBY 12 Amp reciprocating saw. But like many other individuals, you aren’t sure whether it’s the right choice. With so many types, brands, and varieties in the market, one can’t be blamed for being too cautious. The last thing you desire is a product that fails to meet your needs and expectations. When searching for a reciprocating saw, users want a tool that can saw through a variety of items easily. They also don’t want to tolerate a heavy, or noisy saw that is more of a nuisance than a useful tool. So, does the Hitachi CR13VBY 12 Amp Reciprocating Saw fit the bill? The recip saw also enhances performance and produces better and more refined cuts leading to a more professional look. One of the key reasons why people go for a reciprocating saw is to improve efficiency. They want to spend less time and effort cutting through different materials. With its 12 amp motor generating 1370 watts, the Hitachi reciprocating saw cuts at a much faster rate that other tools in the same classification. It is also more aggressive and can saw through a wide range of materials such as metal, wood, fiberglass, plaster, stucco, leather, rubber, masonry and more. Sawing at high speeds and impact can easily waste material especially when cutting through soft material. To minimize wastage and improve productivity, the Hitachi CR13VBY 12 amp reciprocating saw features a variable speed dial. It allows a user to select the right speed. Together with the trigger, the tool not only reduces wastage but gives the user more control. He can increase or decrease the speed depending on skill and task at hand. If you have a demolition project, you’ll spend most of your time moving materials because this makes short work of any tear-down. 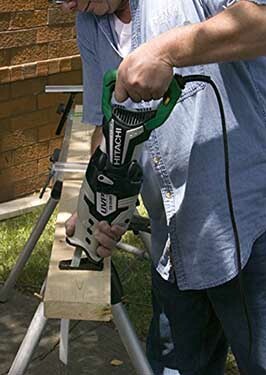 Unlike similar tools that are based on the traditional orbital mechanism, the Hitachi CR13VBY 12 Amp reciprocating saw features 2 mode cutting mechanism. The straight and swing mode cutting technique is symbolic with minimal rebound. Rebounding affects the quality of cut and can easily damage the tool if handled in the wrong manner. By relying on the 2 modes straight and swing mechanism, the Hitachi reciprocating tools improves efficiency. It is very smooth and fast and fits well in the hand even though it is larger than many others. Cutting through hard material such as metal or hardwood can easily damage the cutting tool. Also, the dust and debris produced environmental hazards such as moisture can also damage the tool. To minimize the likelihood of tool damage, this recip saw is made from durable material. The electronic circuit board is silicone-coated to protect from dust. It also features a triple seal for added protection against debris, dirt, moisture, and dust. For improved handling and reduced fatigue, the tool is ergonomically designed. 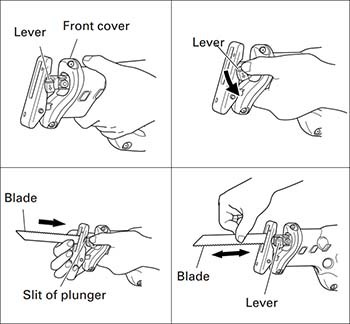 Long saw blade (1-1/4 inches) cuts deeper and faster. This thing is awesome and powerful with the UVP that it can cuts so smoothly with pretty good precision. Powered by a 12-Amp the Hitachi CR13VBY 12 amp recip saw delivers adequate power for most application. This is further improved by the 2 modes (straight and swing) mechanism which produce a professional finish. 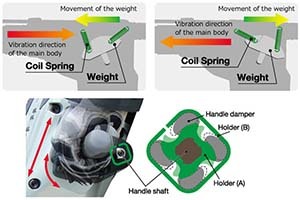 Its anti-vibration technology works very well. And to reduce the vibration or shocks that crop up when cutting, the recip saw is engineered using UVP technology. 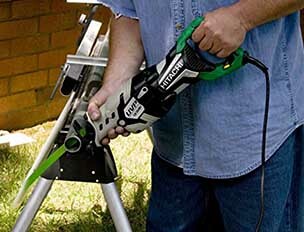 The variable speeds make the saw easy to use and cutting is a breeze. Courtesy of the high performing motor that generates up to 3000 SPM and the variable speed trigger and dial, the saw can cut through a variety of materials. These include metal, plastic, PVC, wood, branches, glass, marble and much more. The double molded plastic and elastomer protects the tool from accidental slippage as well as heat. On the other hand, the triple seal design shields it against dirt, moisture, and other debris. Due to its heavy weight of approximately 9.7 pounds, carrying and handling the tool for long periods may be a challenge. 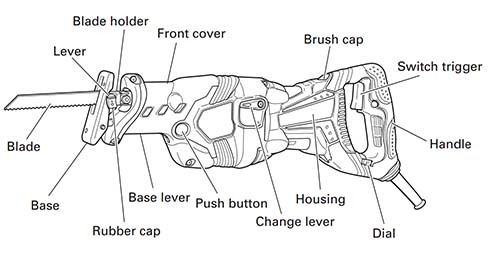 The user-ability is further undermined by the tool’s bulkiness which makes it difficult to use in very small places or from an angle. And since it runs from the mains, the tool can only be used where there is electricity. Also, the area of working is restricted by the power cord. Foot adjustment is the another weak point of this saw. It only has two positions, so cut depth selection is limited. That has caused a few complaints in reviewing the saw. Both CR13VBY UVP and Hitachi CR13V 10 Amp Reciprocating Saw share many similarities. The main difference is the CR13VBY features the anti-vibration technology. It reduces any arm jarring and allows for smooth running all day long. Another notable difference is the CR13V is much lighter and cuts much faster. Question: Does this come with a metal case or a soft bag? Answer: It comes with a plastic case. Question: The company says the saw have 5 years warranty. But the amazon shows it having a 1-year warranty. which is correct? Answer: That 30 days and 1 year seem to be from Amazon cause warranty in the box are 5 years. 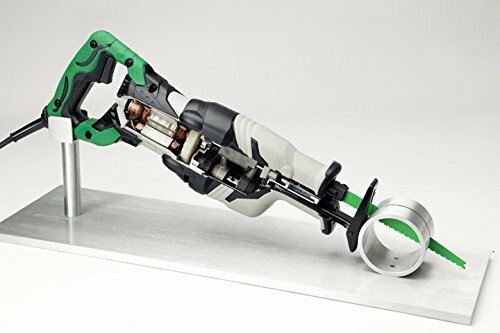 Ample power and SPM make the Hitachi recip tool suitable for many applications in the home, office, garage, and other situations. The use of heavy duty material and triple seal minimizes any damage to the internal components and improves longevity. The inconvenience and irritation that comes from too much vibration are minimal. The only major drawback of the reciprocating tool is its weight and bulkiness, and it runs from the mains. If you can manage a 10 pound saw while upside down, or if that isn’t so important to you, then this saw is nearly perfect. Sure it is a little heavy but built like a tank and the reduced vibration makes one use it often. Going by the review details, the Hitachi CR13VBY 12 Amp reciprocating saw is worth investing in. 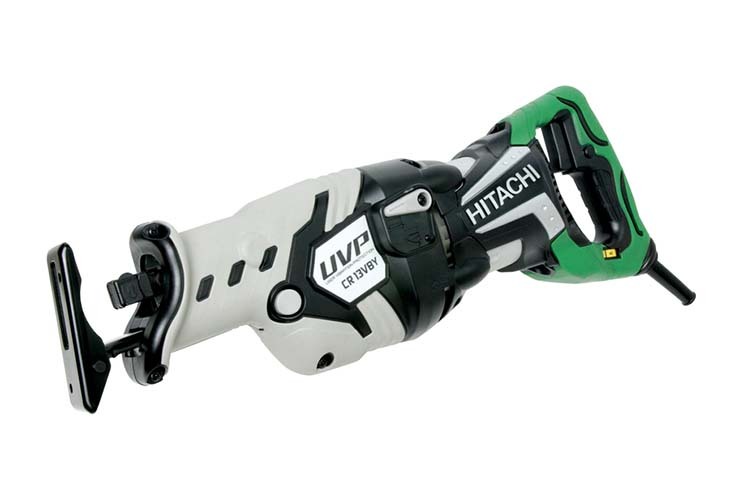 Buy Hitachi CR13VBY 12-Amp reciprocating saw On Amazon, Now!